the situation, and make our recommendations. we inform you of the value of the prospetive liquidation. of the goods in writing. call the specialists in assets liquidation, Groupe Brosseau. 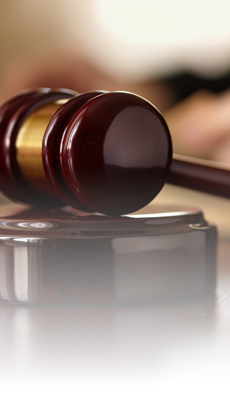 An auction takes place in a specific location and at a predetermined time. If you decide to sell your goods at auction, Groupe Brosseau will take care of all the planning so as to get the best conditions for the sale. Preparation of the room, set up and ticketing of the articles, security of the premises and the merchandise, no detail is left to chance. Invitations are sent to our database of potential buyers so that a maximum number of interested people are present the day of sale. In addition, all the information relating to the auction is available on our Internet website along with a photo gallery and a summery list of the goods. Finally, the many business ties established over the years with various advertising media (newspapers, magazines, etc.) allows Groupe Brosseau to propose your event to a targeted and interested public, thereby attracting buyers who will make your auction a financial success. Liquidation and orderly marketing by mutual agreement take place over a longer period of time and selling is done through our network of potential buyers and according to conditions of sale determined with you. You prefer to set a fixed value for articles that you are trying to liquidate and you have a flexible deadline? Liquidation or orderly marketing by mutual agreement might better suit your needs. We set a sales price that takes into account the condition of your assets and their market value. In order to reach interested clients, the goods to be liquidate are advertised in several ways, in particular on our Internet website where a photo gallery of the articles is available to visitors. We then invite our network of buyers to visit the website and make us an offer.